How’d you feel if I tell you that your content is underutilized? And how’d you feel if I tell you that you can reuse existing content to its optimal capacity without much effort? Do you know unused content in B2B digital marketing is expected to be a $50 billion problem for content marketers and CMOs? This is why, according to Curata, 29% of marketers systematically repurpose content. 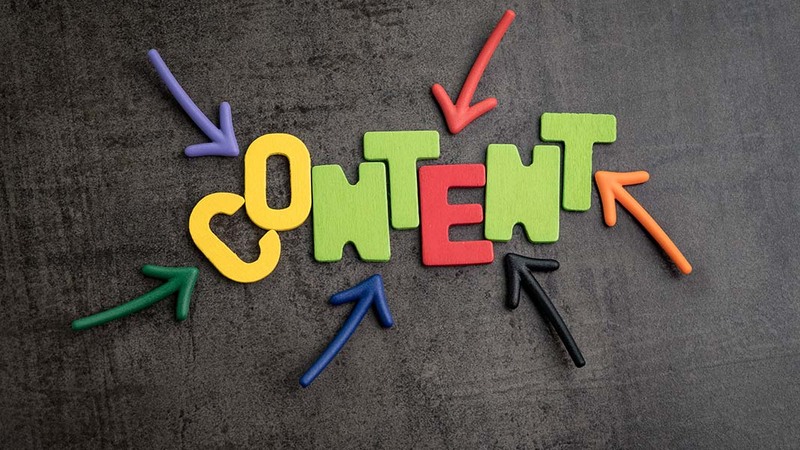 Getting maximum output from your content creators’ efforts. Dealing with the unused content problem. When you change the format of the content or when you change its target audience, you’re involved in repurposing content. It refers to using your content for a new purpose. Copyblogger converted this post into a slide deck and published it on SlideShare. This presentation has over 53K views. The format of the existing content was changed and it started attracting a new audience from a different source. This is what content repurpose can do. Here are 4 smart ways to repurpose content like a pro. Converting your blog post into a presentation is one of the best ways to repurpose content not because it is easy but SlideShare has a lot to offer you. SlideShare has over 70 million users, 18 million uploads, and it is one of the top 100 most-visited websites in the world. More than 19 million slides have been posted to LinkedIn. Ana posted 9 presentations in 30 days on SlideShare. Her presentations garnered 200K views, 1400+ clicks, 400 new Facebook fans, and multiple Google first page rankings. This was all achieved in mere 30 days. 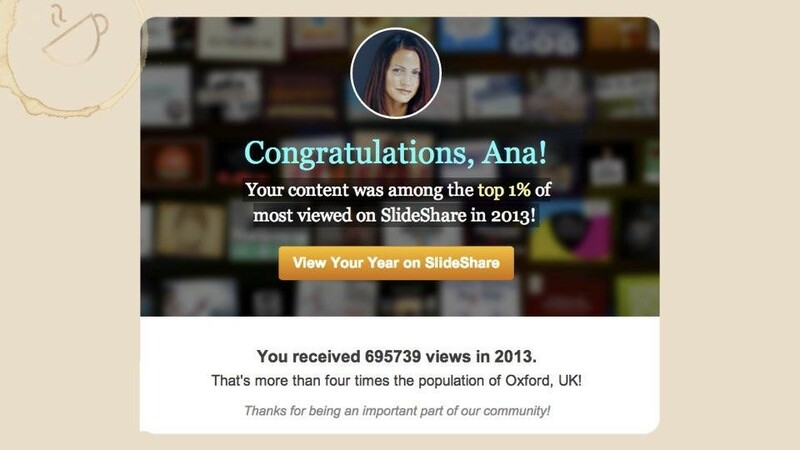 And her content was among the top 1% of most viewed on SlideShare in 2013. SlideShare is gigantic and you should use it to reach new target audience. Use a presentation software of your choice such as Microsoft PowerPoint or Google Slides. Convert your article into an outline. Use one point on each slide. Create as many slides as you like. The more slides you have, the better. Add a powerful call to action on the last slide. Infographics are liked and shared on social media 3x more than any other content type and illustrations help people better follow directions by a whopping 323%. 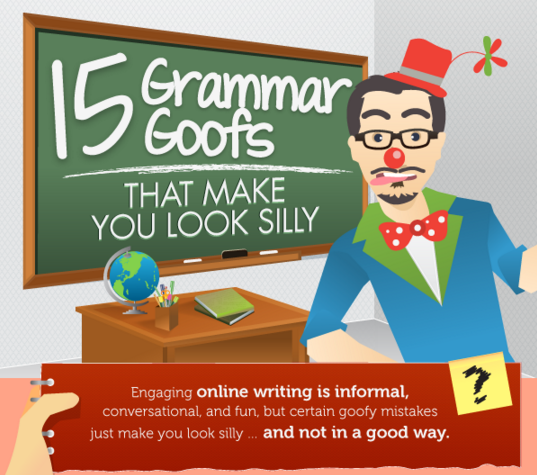 So if you have a lot of blog posts with statistics and data, you can compile them and create an infographic. Visually is my favorite infographic creation tool that makes it easier for non-designers to create a professional infographic. Even if you don’t have any data, you can still convert any article into an infographic. For instance, if a blog post attracts a lot of organic traffic and is performing very well, why not convert it into an infographic and publish it on your blog and distribute it all over the internet. This infographic by Copyblogger isn’t data-driven but it has more than 260K shares. As long as you have great content that you know is doing well already, convert it into an infographic to reach a new audience. Do you have a lot of content in a specific niche? If you have been blogging for years, it is highly likely that you have written a lot of content in your niche. Why not create an online course? You can use your course as a lead magnet or you can sell it. Ever heard of knowledge commerce? It is the process of selling knowledge online and is expected to reach $325 billion industry by 2025. Create a simple PDF or a guide and distribute it on PDF sharing sites or use it as a lead magnet or you can create a full-fledged online course and become a part of rapidly growing knowledge commerce industry. Platforms like Kajabi can help you sell your course online. It is a knowledge commerce platform where you can create, sell, and manage your online course. It has its own marketplace that makes selling courses easier than ever. Not just selling, but you can control your entire online presence—for instance, you can create landing pages, build email lists, and grow your business. John Omar, for instance, made $1 million in one year by selling his online course on app development for iOS 7. If your content can help you earn a million, it isn’t a bad idea, right? Let’s start with a free course or a PDF and then gradually expand it and start selling it. Do you see posts from Medium in SERPs? I get to see them a lot. This is why a lot of people are using Medium as a content repurpose platform. All you have to do is post your articles on Medium and sit back. Benjamin Hardy got 20K subscribers in 6 months with the help repurposing content. He posted all the blog posts from his own blog to Medium. A clean way to repurpose your blog posts. Do you run webinars? You should because more than 60% of marketers use webinars as a part of their content marketing strategy. Importantly, webinars provide you with content that you can use on social media, your YouTube channel, on blog posts, and so on. The idea is to record your webinar so that you can create mini clips for social media. 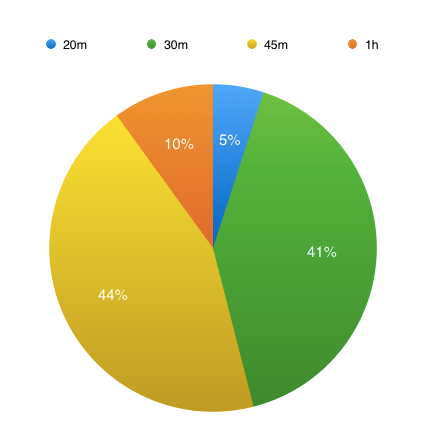 The average length of a webinar is between 30 and 40 minutes. This means you can create up to 40 mini clips from a single webinar. Now that’s a lot of social posts for your followers. You can use ClickMeeting for conducting webinars and it will automatically record all of them. Not just that it records your webinar but you can trim it easily from your ClickMeeting dashboard and can download them in your preferred file format. You don’t have to switch between platforms, it will handle everything ranging from recording to trimming to posting on social media and more. Not to mention, you can use your webinar transcript to create blog posts, presentations, or eBooks. You have the content so why not use it to reach a new audience? Creating new content isn’t easy neither cheap. Try using content you already have to its full capacity. Get started with repurposing today, you’ll regret why you started it so late.